Santiago immigrated to Canada in 2014 and started as a Server Assistant with O&B Canteen shortly thereafter. His work ethic and passion for hospitality were immediately recognized and he was quickly promoted to Key Employee and then Assistant Manager. Keep reading below to find out how Santiago got to where he is today! 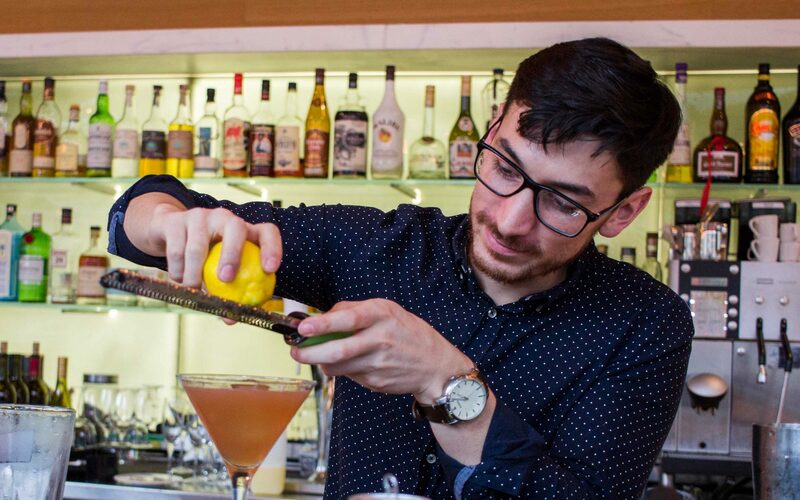 As an Assistant Manager, Santiago mentors and develops the Front of House team at Luma. Santiago was offered the opportunity to assist the team at Luma as a Key Employee during the busy Toronto International Film Festival. This experience was challenging and tested all the skills he had been developing over the past couple of years. Having proven himself, Santiago was offered a promotion to management at Luma. After a year of serving, he wanted to try out the management route, with the full support of his managers, and was given the opportunity to transition into a Key Employee role. Looking for a new challenge, Santiago transferred to one of the Café Grills as a full-time Server. Santiago developed skills as a Server Assistant while also training as a Grab-and-Go attendant, bartender and server. Santiago immigrated to Canada in August 2014 enrolled in George Brown’s Hospitality Management program.